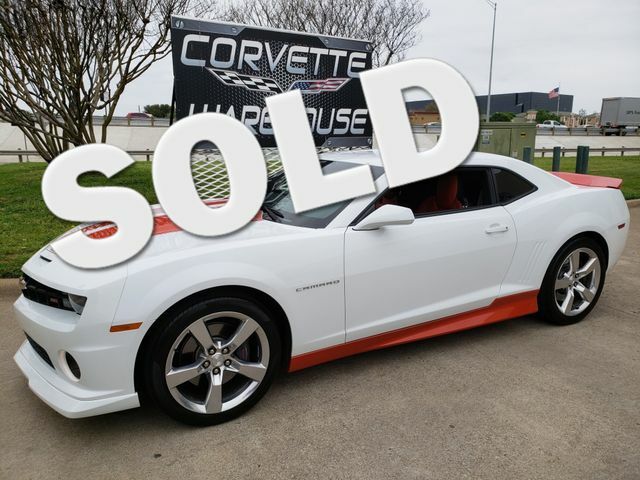 2010 White / Black-Red Two Toned Leather Chevy Camaro 2SS Coupe, 6-Speed Manual, CD Player, Boston Radio System and the Polished Alloy Wheels with Only 9k Miles. This Camaro 2SS Coupe comes equipped with the CD player, boston radio system, power windows, power locks, power mirrors,and the Polished Wheels. It is in excellent condition and has been highly maintained.